PULLMAN – To meet the needs of the rapidly expanding senior living industry, Washington State University has added an online senior living certificate program to its hospitality business management curriculum. PULLMAN, Wash. – Kevin Gray, a chemical engineering instructor at Washington State University, had a revolutionary idea. 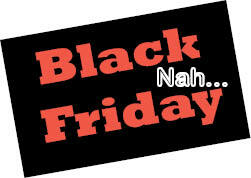 PULLMAN, Wash. – According to a new survey from Washington State University’s Carson College of Business, nearly 65 percent of Pacific Northwest residents are planning to skip Black Friday this year. PULLMAN, Wash. – Fifteen Washington State University students earned membership into Beta Gamma Sigma, an international business honor society. Recipients are business majors within the Carson College of Business who rank in the top 10 percent of the baccalaureate and top 20 percent of graduate programs at schools accredited by the Association to Advance Collegiate Schools of Business (AACSB), an international organization. PULLMAN, Wash – WSU Foundation presented its highest honor — the Weldon B. “Hoot” Gibson Distinguished Volunteer Award — to retired Boeing Commercial Airplanes president and CEO Scott Carson during the 38th Annual Recognition Gala in Pullman, Sept. 28. PULLMAN, Wash. – Learn about technology careers and how technology drives value in successful businesses at the annual Business Technology Symposium, 1-3 p.m. Friday, Oct. 6, in the CUB Auditorium at Washington State University. PULLMAN, Wash. – Disney Executive Director of Enterprise Architecture and WSU alumnus Matt Estes will present “Behind the Magic” from 4-5 p.m. Tues., Sept. 19, at the Chinook Student Center’s Room 150.